The Greater Oshawa Chamber of Commerce has always supported a timely resolution to the future of Oshawa Harbour and welcomed the news that the Government of Canada, the City of Oshawa and the Oshawa harbour Commission have worked collaboratively to reach an agreement that is a Win-Win-Win for all parties and further that the Government of Canada is investing in major improvements to the Port of Oshawa that will boost the Port as an attraction for families and visitors and support new jobs and business opportunities in the region. For full details on the agreement and for other information, visit www.oshawa.ca/harbour. Read More This current news of an additional $10 million along with announcement by Minister Flaherty last year of the $9.2 million in federal funding over two years for environmental assessments and remediation of harbour marina lands and the west wharf and the creation of a Canadian Port Authority (CPA) announced by the Minister Baird is a good start to rejuvenating Port Oshawa. In a letter to Minister of Transport John Baird in 2009, the Chamber identified the environmental cleanup and future governance model of the harbour as two important priorities. It felt sufficient funds needed to be allocated for the environmental cleanup of the marina and caveated lands. 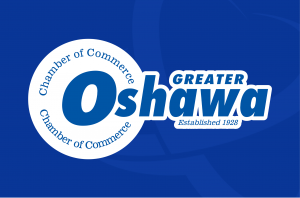 The Chamber believes Oshawa’s deep water harbour, 1 of only 18 in Canada, offers significant economic benefits to existing business and has the potential to attract new businesses to Durham Region. The Chamber supports industrial, recreational, commercial and residential uses at the port and over the past decade, has shared that position with numerous transport ministers.